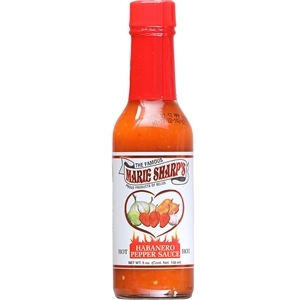 Marie Sharps Hot Habanero Hot Sauce 5 oz. It's delicious, a must have. Originally tried this sauce at a local restaurant and absolutely loved it. Finally found it online and it is now as regular as catchup on my table!